Just when you get to that stage in life where you think that you have heard all the nonsense that there is to hear, up comes someone with a new idea that startles you, something that not even Charles Dickens or the writers of Star Trek thought of. On Saturday evening I turned on the TV and there, bright as day and looking for all the world like she was serious, was an “intergalactic medium” claiming to be talking to a spirit from another galaxy who just happened to take on the job of building the pyramids in Egypt four thousand years ago. God forgive me, but I couldn’t help but laugh. And what’s even worse is that half the people who watch a programme like that would say that they don’t believe in God because there is no proof of his existence. Did you know that China doesn’t exist either? Well that’s what you’d think if you had been watching the news this week. A bomb goes off in Boston and three people are killed. That is a horrific incident by any standards and it was widely reported in the news as it should be. An earthquake takes place in China, hundreds are killed, almost six thousand injured and scores of thousands left homeless......and it warrants about 30 seconds on the news. What is the difference? On Sunday morning after I came home from Mass I turn on the TV and there are the headlines all about the stun grenade that was set off by the FBI to arrest the second bombing suspect, who by the way is only nineteen years old. It seems that if you are a little Chinese man in the province of Sichuan, stuck in the middle of that great landmass then a few hundred can die and we won’t really consider it important. Is it because we can all identify with the white, Anglo Saxon American or can we identify with their lifestyle, which is not really that far removed from our own. But then there are some people who don’t know what they are. It turns out that quite a few Polish people who have assumed all along that they were from a European Christian background are in fact fully fledged Jews. After the fall of communism the authorities have released papers that show that a lot of people who were Jews actually took on western names and attitudes during and after the war. You could not blame them for that, but now one young couple of neo Nazis tendencies have found out that they were both actually grandchildren of Jewish people and they have converted or reconverted to being Orthodox Jews. Their identities are almost as mixed up as ours in the New North. We have no idea what we are.....we just tiddle along hoping that Britain keeps pouring £10 billion a year into the place to keep us fed and watered. And we need to make sure nobody tells the British voter how much this place costs them. I see the queen is 87 today (Sunday). Happy birthday, Missus. If you get time could you come over and talk to your two joint first ministers and try to find out what the most recent splat is about. Rumour has it that Martin and Peter are in a bit of a huff. Centre at the Long Kesh site. De Zeen magazine is an online newspaper for design and architecture and it carries drawings and plans this week for the new peace centre at the Kesh. The main architect is Daniel Libeskind who is a world famous designer who also built the One World Trade Centre, Jewish Museum in Berlin and designed the National September 11 Memorial & Museum which honours the victims of the attacks on the World Trade Centre. I have a bit of advice for Mr Libeskind; if he thinks that his new building shall do anything to promote peace and reconciliation in our wee province he is only kidding himself. But if he collects a nice fee for his efforts out of our £10 billion annual annuity from the Old Dear who is 87 today then fair play to him. 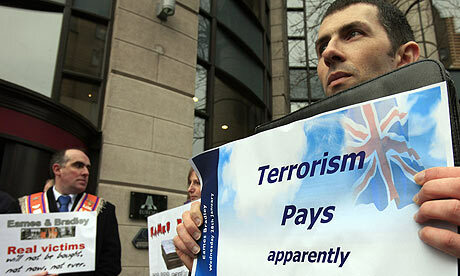 Peace in Northern Ireland seems to have it’s hands full lately. During the week Geoffrey Donaldson of the DUP said that “Unionists have a veto” on what is contained in Libeskind’s new building. In other words, history shall only be viewed in the way that unionists want it to be. “Italy celebrated a total of 6,180 foreigners' weddings in 2012, generating revenue of more than 315 million euros for the tourism and travel industry, according to a report released by leisure consultant JFC. We could bring a whole lot of people to Northern Ireland and boost our tourism and hotel residency as we are going to do with the G8 summit in Fermanagh soon. But the same problem would arise for the wedding guests as for the summiteers; we have nowhere to put them. The hotels in Sligo and Donegal are filling up with foreigners because the north has not enough good hotel beds. 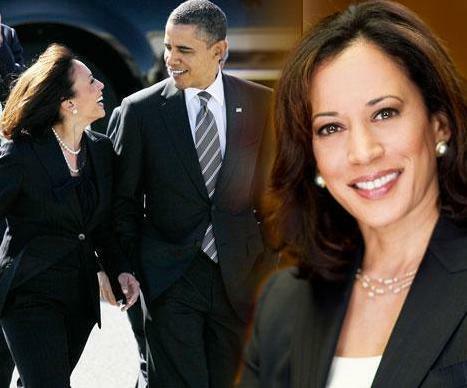 You can’t bring Mr Obama and his entourage to a B&B in Tempo! Serious question—why do we not really want peace in the north? Serious answer—we have no need of it. We have a good thing going in this wee province. We can pretend to be Irish or British, depending whether your Clark has an ‘e’ or not, and we collect our annual gratuity from our paymasters and on we go. We have the benefits of being half in the euro, half in the sterling area but we have to be careful not to make too much noise on the political front. As a sop to our paymasters, we send Peter and Martin off to Brazil, USA or wherever on the pretence of looking for work in the dread that some big company from these countries might start a factory here. If they did decide to come and open we would have a fit because we would lose our DLA, tax credit and every other sort of benefit that we can manoeuvre the British into giving us. Did you ever stop to think how many jobs there are in the six counties that are concerned with community relations, community building, community help, community identity, victims, victims support, community regeneration and community projects? We must have the most communities of any community in the world. Why would we want peace? We are on a good thing and we know it. The secret is to pretend we are at peace with the constant danger of war hanging over us. That is why we need the 12th and the Flags. If we had real peace the rest of the world would expect us to behave like adults, and that would never do. Adults take responsibility. Adults have an identity. That’s the good thing about northern Ireland, we are not really responsible for ourselves; we know the pot is coming at the start of every financial year and all we have to do is to fight over which department gets what amount. If we had a real identity, if we were truly either Irish or British, we would do what mature people do and look after ourselves. Instead we would rather shout at each other while we all hold our hands out for a donation from John Bull. “The Italian parliament has re-elected the 87-year-old president, Giorgio Napolitano, for an unprecedented second term. That means that Signor Napolitano will be 94 years old when he gets a chance to retire. The Italians can’t form a government because they can’t agree on a coalition and my old friend Berlusconi has announced that he will run for Prime Minister if there are elections. The whole thing is pure nonsense but it is great fun watching it all unfold. And the countries are lining up now to have bailouts in the Eurozone. "We are absolutely not Cyprus," says new Slovenian Prime Minister Alenka Bratusek. "We don't need help. All we need is time." Poor Alenka has recently become premier of a wee broke country. Slovenia was part of Yugoslavia during the communist era, has a population of roughly 2 million people and a banking system that is in a mess. "Recent events have underlined our view that the Slovenian government will struggle to finance itself this year despite the small size (relative to GDP) of its troubled banks and public debt," Capital Economics Ltd., a London-based analyst group, said. “To avoid a bailout, the government will need rapidly to put in place a credible plan to tackle the banking crisis." Source: European Central Bank (2013). That is not the big problem. The big problem is a report from Germany this week that shows that German people actually own less per household than the people of Ireland, Italy and Cyprus. This is really annoying them because so far Germany has guaranteed 100 billion euro of bank debt. What has this to do with Slovenia, and by extension, us? Already the Germans are saying that any money to save the NLB, the national bank of Slovenia, will have to be self financing. In other words, the money shall have to be taken off the investors. The message is clear: The Germans are paying no more. And Christine is coming to visit, if she is not being questioned by the courts, that is. “IMF chief Christine Lagarde has been summoned by a French court to answer questions over alleged abuse of office during her time as France's finance minister, her lawyer has said. But in fairness to Christine she has done what it is a woman’s prerogative to do; she has changed her mind. Well, not only Christine but the whole board and money men of the IMF. For five years now the peoples of Europe have been told that austerity was a must and that everything hinged on the ability of the countries in the Eurozone being able to cut spending and cut the standard of living. But lo and behold, it didn’t work. Thousands across Europe lost their livelihoods and countless poor souls died by suicide because of financial stress but the IMF and the ECB said we had to do it. Now, it turns out, the IMF are saying that austerity is not the way to do it at all. We need to go for growth. What about the millions of people across Europe who have lost homes, jobs, family members as Frauline Merkel and Madam Lagrange rammed the austerity mantra down our throats? In six months time when Enda has to tell the people of the German county of Free State that austerity was wrong all along and that now the people in the capital, Berlin, say that “we have to go for growth,” how will he handle this economic volte fa? How do I know these things are coming? They are here already. David Lipton, a long lost American cousin of the famous Scottish tea makers, is coming to the UK as head of an IMF delegation to tell the Brits that they are on the wrong track and that austerity is not doing them any good. So now Britain is running on a weaker battery, the IMF and ECB are about to turn from austerity to growth, the people have lived in misery and the “smart people” who don’t know what is really going on in the markets, will keep their big jobs. What are a few million broken people and a few hundred thousand suicides when you can keep your big pension intact? It would buy some makeup! Someone said recently that a certain European Prime Minister had done more damage to the people of Europe than their illustrious moustachioed predecessor. I wonder who they were talking about. 1930 film "The Wizard of Oz"
So, the Iron Lady has gone to the great parliament in the sky. It is one of those events that we have all awaited but when it does eventually happen there appears to be something surreal about it. Perhaps it is the fact that she was such a towering force in British politics or perhaps it was the fact that we had all forgotten about her and realised that her iron had turned to rust. The death of Mrs T raises questions for most of us in the New North. It is no exaggeration to say that a lot of the people here hated her for one reason or another. There was something about her brashness which bordered on cruelty that made her repulsive to a Catholic conscience; the ‘greed is good’ philosophy or the statement that ‘there is no such thing as society’ we all recognised as being accurate if you happened to one of Mrs T’s middle class cronies in Finchley. If you take the time to watch the video of Mrs T being confronted by Diana Gould on TV at the time of the sinking of the Belgrano you will recall something of the arrogance and pride in the woman. Thatcher was still of the opinion that Britain ruled the waves and was a mighty empire when the decline of her nation was well under way. But what does the whole saga of Mrs T tell us about people and our humanity? The first thing it tells us is that we are not God and that we are all mortal: Margaret Thatcher, born Grantham 1925, Prime Minister of the United Kingdom of Great Britain and Northern Ireland, succumbed to the ravages of old age and dies of a stroke, the same as the rest of us shall someday die in some manner. Do you recall her crying as she left Downing Street after she had been unceremoniously dumped by the men in grey suits? That was the real start of her demise. On a human side she was a wife and a mother of two children. Her husband Denis was portrayed as a drunken bumbling fool in the satirical press but I do not think for one minute that he was anything of the sort. They had two children Mark and Carol. Mark got lost in the desert in 1982 while driving in the Paris to Dakar rally and was missing for two days before being found some forty miles off course. In 2005 he pleaded guilty to helping organize a coup in Equatorial Guinea and was fined 3 million rand (whatever that amounted too) and was given a four year suspended jail sentence. This affair led to him being refused a visa to live in America—a bit of a humiliation for the Iron Lady’s son. Carol (born 15 August 1953) is a journalist, author and media personality. She is the twin sister of Mark and like her brother she has not made much of an impact in public life, so far. When Mark appeared on the TV the other day to speak about his mother’s death and funeral he looked decidedly uncomfortable as he constantly rubbed his hands. The point I am trying to make is that while we saw the Iron Lady, there was somewhere underneath all that arrogance and pride, a mother. The life of Margaret Thatcher also teaches us another very important lesson; there is no such thing as important people, there are just people with important jobs. For a while the person shines and is the centre of the world and then the inevitable demise and the sinking into oblivion. Where is John Major or Tony Blair today? Did Margaret Thatcher become bitter and disillusioned? In fairness to the woman she said very little after she was ousted. These are the political questions about the Iron Lady but there is another aspect of the death of Mrs T that we should look at. What does the death of Mrs T and our reaction to it tell us about ourselves? I didn’t dance on the streets but I lost no tears. However, I was surprised by the relative indifference within me to her death. For years I would have thought that I would have delighted in the demise of what I believed to be a ruthless woman. Here we had the first woman prime minister and when she had the opportunity to show compassion and kindness showed herself to be merciless. As a point of fact she was wrong in this because the Provos did not blow up Neave, it was the INLA. I’ll bet any person over the age of fifty shall remember the hate filled tone of her voice when she said these words. But leaving that aside, this statement raises another issue. Yes, murder is murder. But on the 12th February 1989, Pat Finucane was murdered at the behest of her soldiers in front of his family as he sat eating his Sunday tea. 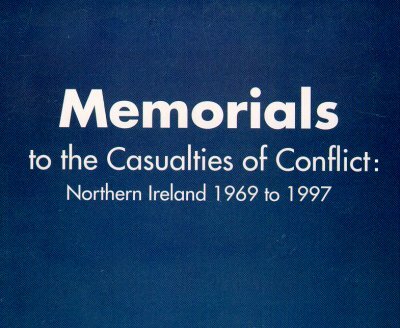 Most Catholics in Northern Ireland believed then and probably still believe that such an action would have had to be sanctioned at the very top—if murder is murder then murder is murder when carried out by the British as well. The big problem for Catholics and nationalists is that there always appeared to be one understanding of murder when carried out by republicans and another when done under the direction of the state. And there is no arguing with the fact that Mrs Thatcher in some of her pronouncements gave credence to this understanding. 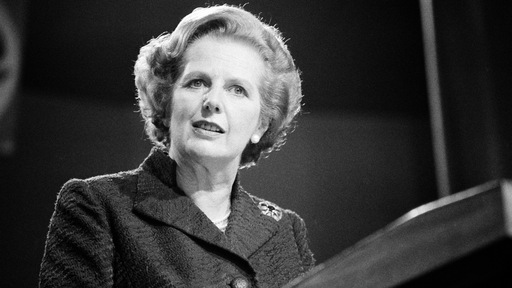 Even in her politics in England, Thatcher personified the belief that people are not important, particularly poor people like miners and the unemployed. These are her words in an interview to Women's Own in 1987. Although she never actually said publically in a speech that ‘greed is good’ her whole political understanding and her insistence that the market would take care of everything reflected this attitude. During the Falklands war, all of us young republican minded men in the north were firmly rooting for the Argentineans. We had never heard of the Malvinas/Falklands but they were fighting the British so they were good; very simple really. Then came the sinking of the Belgrano, which I mentioned earlier, but the common belief is that Thatcher sank the Belgrano in order to scupper any chance of a peace deal, which was being brokered at the time by Peru. That belief, whether it is true or not, was burned into the public consciousness. Some in the unionist party thought Thatcher was a hero. She stood up to the “men of violence”, let the hunger strikers die and was doing what many of their politicians would have wanted to be done. Then came the signing of the Anglo Irish Agreement which in effect gave the Irish government a say in the running of Northern Ireland; the unionist opinion changed towards Mrs T, but the unionist need not have worried, the Free Staters had no real interest in helping the Irish in the north. 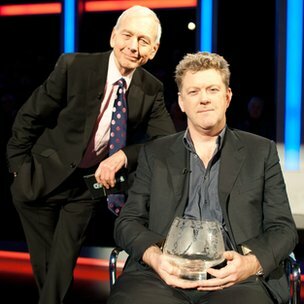 And on Saturday evening we had the whole saga of the song “Ding, Dong, the witch is dead”; would Radio 1 play it or not, would it make number one? The young people who were buying the song probably were not even born when Mrs T was prime minister, but it shows the depth of feeling that she arouses, although in fairness a lot of the people who bought the song were only doing so to see what all the hullaballoo was about. The second was about her birth, death and being sadly missed. I laughed heartily at it; whoever thought it up had a wicked sense of humour. Strangely, I was not elated at her death. In fact it was more a matter of disinterest to me. Her hatred of republicans and her obvious contempt for all people who were not middle class English is now a matter of indifference to me. For years I would have wished her to burn in hell but perhaps time or age has caused me to mellow a little. I do not wish her ill, nor do I hope that she is in hell, but her death raises some points that are worth considering. Margaret Thatcher, like all of us, shall have to give an account of her life. “Murder is murder is murder,” she said when justifying letting men die on hunger strike for no real reason. When she had crossed the great river of life and entered the afterworld, Margaret Thatcher eventually came face to face with Jesus. The Light of God is the Light of Truth. Margaret Thatcher saw all her life in the infinite light of God’s truth. And she saw how her life, her ambition, lack of compassion and every decision she ever made, impacted on the life of others. In fairness, she also saw the results of the good deeds she did as well. We cannot judge in any way the soul of Margaret Thatcher, but her life is great proof that there is a God and that we shall all answer to him. Margaret Thatcher deserves justice. The world she left behind also deserves justice. If she was acting with good intent and genuinely believed in everything she did then we shall all see this in the fullness of time. If she knew about the “shoot to kill” policy, or sank the Belgrano for political gain, then the people who died and their families deserve justice. But only God can know these things; neither the condemnation nor the exoneration of Margaret Thatcher is our job. On Tuesday morning while at Mass in Lavey chapel, I said a prayer for the old dear. It was tough going getting the words out and there was very little sincerity in the way I said them, but by the time I got to Saturday I had found that I could muster a good deal of sincerity. Northern Ireland has moved on. Thatcher lived to see what she believed to be the “men who killed Airey Neave” in power. And for this I am thankful; it must have stuck in her craw. We are comfortable in the New North, not feeling superior or inferior to anyone. That’s how it should be. We have left Thatcher and her hatred behind. The dancing in the streets was perhaps a little distasteful but if you courted controversy like Mrs Thatcher did, you can hardly complain if it continues after you die. I am definitely going to listen to the record about the witch being dead on the internet. When Thatcher met Bobby Sands in the presence of God she met him as an equal. God has no favourites. The relationship between these two old adversaries has to be settled in the light of God’s infinite justice before they can move on. An interesting meeting! Before we go too much into the judgement of Thatcher and how she will react on meeting Bobby Sands, we should all remember that there shall be plenty of people in our own lives whom we shall have to meet. I think I’ll have enough bother with my own judgment without judging Mrs T.
But I am glad there is justice, even if I have a lot to answer for myself. The ordinary folk will never get justice in this world. 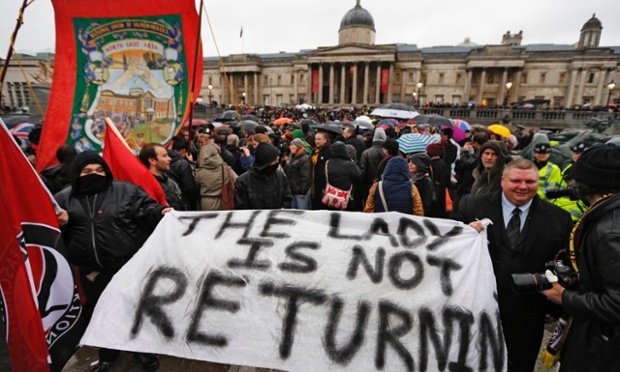 Thatcher shall be buried with great pomp and circumstance, the poor blighters in the Belgrano sank to the bottom of the sea—but now they are equal. Then on Saturday evening we see that a party is held in honour of her death in Trafalgar Square. Perhaps this says more about her divisiveness than anything, the central square for all England’s great celebrations is used by thousands to celebrate the death of their most divisive PM. 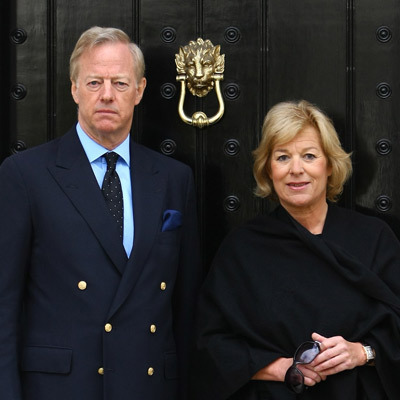 Even worse, it was announced that the funeral would be a celebration of the victory of the British in the Falklands War and that no representative from Argentina would be asked to attend. Divisive in life, divisive in death: the legacy of Margaret Thatcher. Do I hope she is in heaven? Not really. But I definitely hope she is not in hell. I wish no one to go there. I’ll say a prayer that she gets out of the in between place a good bit faster; then she’ll owe me a favour when we meet wherever! And I hope the all merciful Lord has more pity on her than she had on the hunger strikers. parked in a disabled bay? Something I hope you shall seldom find in this column is me sticking up for a Tory cabinet minister but when you see something like the following in the Telegraph I think we need to have a serious look at ourselves. George Osborne was out in his ministerial Range Rover and he wanted to go into a shop. He got out and his driver went and parked. Absolutely nothing to do with Mr Osborne, the driver parked in a disabled space. That is headline news; a driver parks in a disabled bay and a man who was not even in the car is held to account. Is It Eever Ok to Compliment a Woman? The leader of the “Free World” is not free to have an opinion! In Britain we were all treated this week to the news that there are now seven social classes. The lowest class are the “Precariats,” people of low income and no social life; they live in a continuous precarious state, hence the word precariat. Do you know how many people in wealthy Britain, once the leaders of the Free World, are precariats and thus live in a constant state of worry? 15%, or one in seven of the population. And in the same week as we find this out, the Telegraph is worried about Mr Osborne’s driver parking in the wrong place. This is the introduction to a charity in the United States called AmpleHarvest.org which tries to get fresh vegetables and fruit to children in a land where obesity is rife, which prides itself on free speech and freedom of expression. And poor old Barack is not allowed to say that a woman is good looking. Pope Benedict wrote in one of his letters that all this political correctness stuff leads to “confused consciences.” Basically what he meant was that when we start making our own morals and make no reference to God then we finish up talking nonsense. In a country which spends billions of dollars a year on cosmetics and fashion, all designed with the aim of making a woman “good looking,” and where 37.5% of adults are clinically obese, (CDC report 2010) children starve and a woman cannot be told she is looking good. But sometimes the wee man strikes back. bank's 2008 collapse be barred from banking? 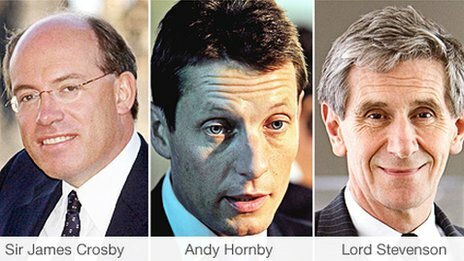 “Thousands of investors have launched a joint compensation claim for up to £4bn against Royal Bank of Scotland and several of its former directors,” ran the reports in the English media last week. Now isn’t that music to the ears. Then on top of that we read that three directors and executives of HBOS are to be barred from ever working in finance again. Sometimes we get a little hope. Not much, mind you but a little. It seems the investors are saying that the RBS boasted about being in good financial health six months before the whole thing went belly up and had to be bailed out by the taxpayer. These people who had shares in RBS as part of their pensions are claiming the money simply because they were lied to. Hard to see how they don’t have a case. Workers in Aer Lingus were recently told that their pensions were worth 4% of what they had paid in. Brian Cowen and Bertie get 150 grand a year and the mugs who believed them are broke. I wonder what life is like as a “precariat.” Seriously, have you ever thought of what life would be like if you were waiting on the dole cheque to buy the groceries or to get a bit of electricity? On the other end of the social scale there is now a new crowd called the “Elite.” These are the super duper rich people and they make up about 6% of the population. What about the New North, what do you think our percentages are? Would you say 25% precariats and 3% elites? The reason I mention this is because we are living through a period of great change, a period when we in the West are declining as other grow more powerful. We are losing all our social and moral compasses; we do not know where we are going. George Osborne is not responsible for where his driver parks nor is it a matter of national news that his driver parked in the wrong place. Barack Obama is entitled to his opinion. Well, in fairness at least David Cameron did not say that “Margaret Thatcher was the best looking Prime Minister Britain ever had;” that would have been too much! A couple of points to remember if you are heading south this week; the first is do not stop in South Armagh and get into an argument with Aidan McQuade about Michael Collins or Abraham Lincoln. You won’t win. The second point is that if you are heading over the border be sure and take a few aspirin, panadol and any other drugs that you think you might need with you. Oh, and bring a few bandages and a towel or two just in case. The “Troika,” those three infinitely wise men that now run Ireland by a three monthly visit, have declared in their wisdom that the Free State health service spends too much on drugs; less drugs, less survivors, less mouths to feed. Quite a simple logic really; don’t say you weren’t warned. “Health Minister James Reilly is under pressure from the troika to give each patient their own unique number so that their use of prescription drugs can be tracked,” wrote the Irish Independent. It is obvious that the next move is that if a person is using too many drugs then they shall be cut off. Yet the governments of the west, unlike India, will not take on the drugs companies and insist that cheaper generic drugs can be made and used. India told the drugs companies where to go and what they could do with their precious patents! You see, the Elite own shares in the drugs companies and the Precariats are the people who cannot afford to buy the drugs. If the Troika and their governments would have the moral courage to take on the drugs companies then people and countries could get much cheaper drugs. There was a beautiful but sad story in the New York Times last week. It was the story of the life and untimely death of a young man called David Gup who had been diagnosed with attention deficit hyperactivity disorder when he was a child. His father, Ted Gup, is a professor of ethics at Harvard University so he wrote the article from the point of view that 11% of children, that is how many are diagnosed with attention deficit hyperactivity disorder in the USA, are given drugs to calm them down because no one will take the time to listen to them. “And so a generation of students, raised in an environment that encourages medication, are emulating the professionals by using drugs in the classroom as performance enhancers. “Time does not heal all wounds, closure is a fiction, and so too is the notion that God never asks of us more than we can bear. Enduring the unbearable is sometimes exactly what life asks of us. A few Christians and Catholics might take issue with some of his last few lines but it is the integrity of a person who is prepared to face their loss and look squarely at life that makes what Gup says so important. And there is great hope in what he says, for there shall always be people who prefer to live life rather than hide from it. People also like to hide their money. During the week, millions of e mails and files were leaked which carry the names of 2.5 million people who have money hidden away in offshore accounts. There are prime ministers, former dictators and their families, lawyers and every kind of person you could imagine on the list. What sticks in my craw is that these are the very same people who shall pontificate to the rest of us about how we should live. They are the nice people, the untouchables, who feel that they have the right to take all the time from society and can sit in judgement of the rest of us. If you wanted to be cruel and put them in a social class, they would all have to go in to the Elites, (sounds like the start of a marathon race). I will bet a week’s pay that there are no precariats among the 2.5 million names. And I will bet a second week’s pay that the vast majority of those named shall go unscathed: you scratch my Elitist back and I’ll scratch yours. There was a bit of news that came out from the IMF this week that shall fill many in the Free State with dread. The IMF want the repossession of houses by banks speeded up: Madam Lagarde has decided that the people of Ireland are not being thrown out onto the side of the road quick enough. You would nearly swear she is the reincarnation of a famine era landlord. Where is the forgiveness in all of this? Were the rich of this world always so cruel? Could we learn anything from the middle ages, those barbaric times when the Church was at the heart of the community and some people actually still believed in God. In the middle ages under the feudal system there were periodic events of debt forgiveness. The timing of these events varied from country to country but in England they were held every ten years. The Lord of the Manor and his tenants would come together, add up all on the plus side and the negative side and if the figure was just too much in the red they would wipe it off and start again. Moral hazard would say that this would encourage the tenants not to pay their way. The Lord of the Manor had the ability to throw anyone off the land that was not doing their best; that kept people in line. Until the countries of Europe make some sort of decision as to what to do about the huge debts hanging over our society then we shall bounce along in a permanent recession that we may never recover from. I got up on Holy Saturday morning to the news that a new war has started. So far there have been no shots fired and no one killed and I think that by the time you read this there shall still be no one killed in this war. 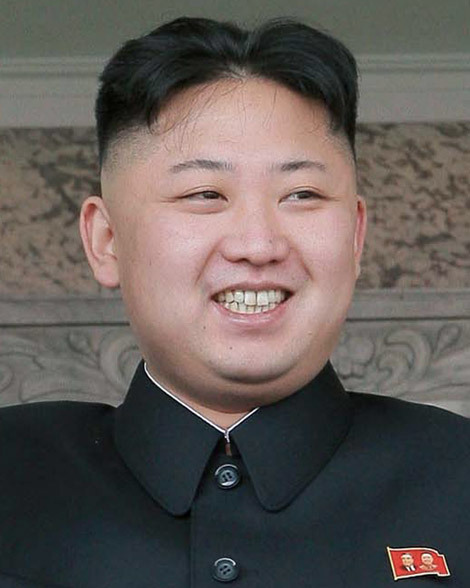 The new war I am referring to is the one between “Baby Face” Kim Jong-un, leader of North Korea and everyone else. It’s not that anyone has done anything on young Kim, who at 28 became leader of his country after his dad died. He said at the end of the week that he had "Judged the time has come to settle accounts with the US imperialists". Like most of you I have no idea what he is talking about but his statement made me think for a minute about war; the British, the Irish and the hobby we have of going to war with Britain every forty or fifty years. After some time of deliberation I reached a conclusion; being at war is a state of mind more than anything else. From 1969 ‘til 1994 or 5 or 6, depending on how you count it, we had a collective mind of being in a state of war in the Old North. The problem was we were never quite sure who we were at war with or what we were actually fighting for. If we were fighting for a United Ireland, are you not glad that we lost? Those poor men who took over the GPO all those years ago must be wondering what they died for. I hope the Kingdom they have all gone to by now is better than the kingdom they helped create here in Ireland. If we were fighting for some kind of equality and justice in society then we can reasonably say that we won. But the feeling of being at war has gone and this must be a big factor in the whole thing. I wonder, do the heroes of the continuity ever ask themselves why no one else feels as if we are at war? Then last week we had a very uncharacteristic intrusion into our affairs by one President Obama, who took time off from hiding under the couch for fear of Kim Jong-un dropping a bomb on the White House, to meet with the wee north’s “Terrible Twins,” Peter and Martin. Mr Obama said "every citizen and every political party" needed to work together in service of "true and lasting peace and prosperity". Amen to that! He said the United States would be there as a friend and partner "at every step of the way". Thank you for your help. "That is the message I will carry with me when I visit Northern Ireland and attend the G-8 Summit in June," he added. Eh, could yous not go and hold your G8 party somewhere else? I mean, thousands of media, security men, politicians and hangers on would make a great target for one of North Korea’s new long range missiles. Did you ever think what would have happened if Captain Terence O’Neill had been given a chance? As time moves inexorably on we have reached the half century mark from when Terence became Prime Minister of Northern Ireland. "O'Neill was the first Northern Ireland Unionist Party leader to have failed. All the other leaders were a success right up to the days of Brookeborough. Then Terence O'Neil lost touch with the average Ulster Unionist and failed." O’Neill was unceremoniously dumped because he wanted to make some changes to the old sectarian north and to recognise the Catholic minority as human beings. Any man who thought like that had to be got rid off! Why did we fight for 25 years? What was it all about? Discrimination, sectionalism and class distinction leads to a build up of anger and hatred in a community. From the “foundation of the state” ‘til 1968 the deposit of anger in the Catholic community was such that when it exploded it took 25 years for the anger to dissipate. Unlike Egypt, South Africa and other places, the Catholics were still in a minority and had to fight longer to get equality. What was it that built up the hatred the people felt? A country, or an economic union for that matter, which does not apply the law equally is always building up resentment in the people and loses its right to be called a fair society. Those of us who remember the old north know of lots of cases where the courts were lenient in one case and harsh on another. The Labour and Fine Gael coalition came into power on a whole raft of policies about challenging Europe over the austerity imposed on Ireland. As we know, when they got in they did whatever Frauline Merkel told them to do; they imposed severe hardship on the Irish people. Michael Noonan, the Fine Gael Minister of Finance in the Free(ish) State headed off to Brussels to help poor little Cyprus in its plight. Well, not exactly. Our Michael voted to impose severe austerity on little Cyprus, population 840,000. Michael even voted for the people of Cyprus to lose the money in their deposit accounts, not just the rich ones, but even the not so rich, with less than 100,000 euros in their accounts. The problem here is that there is a huge chance, perhaps almost a certainty that Irish banks shall need more money when the repossessions of “buy to let” houses begins. When the Fine Gaeler goes back to Mrs Merkel and asks for more money, what shall she say? “Oh, we couldn’t do that, Your Majesty, that would be stealing from our own people,” the Fine Gaeler shall reply. Don’t think it won’t happen. If you have money in the Free State and leave it there, you deserve all you get. The right people shall be told when it is going to happen and when to move their money to a safe haven like Switzerland. In all these things it is perception that counts. Have you ever heard of a middle class person going to prison for drug use or possession? Do the middle classes not do these things? Last week in the Free State there was one of those events that makes you think the place is rotten. 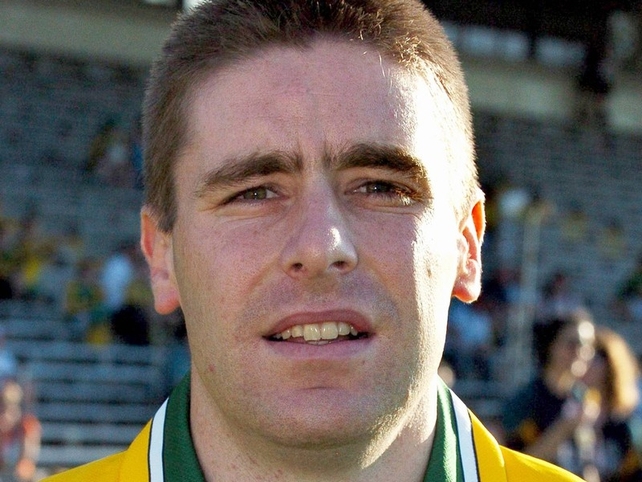 “THE DPP has dropped motoring-related charges against former Kerry footballer Darragh O Sé. The former All-Star midfielder, of Mounthawk Manor, Tralee, had faced charges of drink-driving, dangerous driving, having no insurance and no driving licence. Mr O Se (37) was stopped by Garda Deirdre Barry on February 3 last on the N7, at Blackchurch, Kill, Co Kildare. But when the case was called, at Naas District Court, Chief Superintendent Pat Mangan told Judge Desmond Zaidan that the cases against the famous footballer were being withdrawn, on the instructions of the DPP. The inevitable answer given to the judge was “procedural reasons.” Now it may well be that there were some very serious procedural reasons why the case should be dropped but the perception that goes abroad is that there is one law for the well connected and another for the ordinary folk. Even Judge Zaidan was angry and said he could not figure out what was going on. But of course we know that all people are (sort off) equal under the law. Have you noticed that if you want to get some real news on the television you have to go to Al Jazeera or Russia Today? Now before you think that I am off on some sort of Muslim or Communist crusade I hasten to add that I believe that both these stations are probably as full of propaganda as the rest of them. But no one here in the British Isles appears to be doing any investigative journalism into the HSBC collapse, the shenanigans at Lloyds or the RBS or anywhere else. In our beloved homeland the bankers and developers who destroyed the country are still at large. Not one, except Sean Quinn and Tome McFeely, has done a day in prison. Oh, Quinn and McFeely are northerners: the law can be applied harshly against them. Here is a bit of news that you probably have not heard: Cyprus is technically out of the Euro. How did I come to this conclusion? Well, this is the legal opinion of an American website and financial group called Money & Markets. “Anyone who restricts the free movement of capital is in direct violation of European Union treaties. And yet, all three members of the so-called Troika — the IMF, the ECB, and the EU — have stamped their seal of approval on the capital controls imposed by Cyprus on its bank depositors,” said the site. Do you remember Mrs Thatcher, upon whom Frauline Merkel seems to have modelled herself, thundering on about the importance of the “free movement of capital” throughout Europe? Well, not from Cyprus. If you are unfortunate to be one of the 840,000 Cypriots and you want to send a few thousand euros to your family somewhere.....you can’t do it! “But again, that's not the case. Some of the most endangered banks are among the largest banks in the world, especially in Europe, where the contagion is most likely. Money & Markets then gives a whole list of banks and their ratings. “A” is a strong, well financed bank, while “E” basically means that they are broke. Here are some of our high street banks; Barclays, D-, Lloyds and RBS are both E-. You can’t get any lower! “These are huge banks, all with at least $1 trillion in assets — all knee deep in bad loans ... all in or near the same condition as Cyprus banks were a year or two ago,” says Money & Markets. And we think that the euro crisis is over. If you bank that the banks in the UK are safe consider something that got a little though not a great amount of press coverage in the UK last week. “Major UK banks must raise a total of £25bn in extra capital by the end of 2013 to guard against potential losses, the Bank of England (BoE) has said. I wonder if I could get odds from Paddy Power about the names on the list. I could use my insider information from Money & Markets, bet a few thousand from my Cypriot account and when I get my winnings it would go into my Cypriot account and help the people there. There’s more chance of that happening than there is of Europe genuinely trying to help Cyprus. Makes you wonder what they have been at when even the Bank of England says that they may be facing fines. And another point, if the banks have to raise another £25bn in capital where shall the money come from to finance the growth that is needed to end the recession? Tarzan was saying that the people of Britain are too well off to be bothered working hard to rebuild the economy and he was saying that we have got too lazy and comfortable to be bothered about the common good. A wise man our Tarzan. Do you remember who he is? 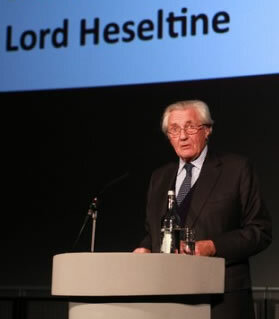 Michael Heseltine. Europe will emerge from this crisis in a different form and a different place. But we will survive. Why? Because this is Easter week! What has that got to do with money and power and privilege, I hear you ask? Because Easter guarantees us that there is a God who cares deeply about our lives, and some of his concern for us shall always flow in his people. And Easter also says that greed, power and lust for money will not win. You cannot kill goodness, He keeps coming back!